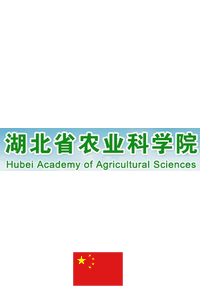 Institute for Plant Protection and Soil Science of Hubei Academy of Agricultural Sciences（IPPSS）founded in February 2001, is a non-profit research organization run by Hubei provincial government. Its predecessor was institute of plant protection and institute of soil and fertilizer institute which were both establishedin 1950. The institute currently has 58 staff, 23 of which are professors and 14 are associate professors. It contains seven research departments including plant pathology, agricultural insects, weeds pesticides, soil, fertilizer, plant nutrition, resources and environment, and mainly focus on crop pest research and control and plant nutrition research. During the recent ten years, IPPSS have undertaken more than60 national or provincial projects and won 1national and 6 provincial award for Science and Technology Progress. “Innovation and Application of Novel Botanical fungicides” won the secondaryprize of National Progress in Science and Technology in 2014. Scientists in IPP have published more than 200 original research articles including30 in the SCI indexed journals.